Shlomo's Beatbox Adventure For Kids! Due to a car accident on the way here (no-one was hurt but the car was a write off) Shlomo will not be able to get here for the show this afternoon. We are all very sorry and Shlomo will be rescheduling the show for a later date. Please keep and eye on the website and apologies for any disappointment caused. DO SOMETHING AWESOME THIS EASTER! 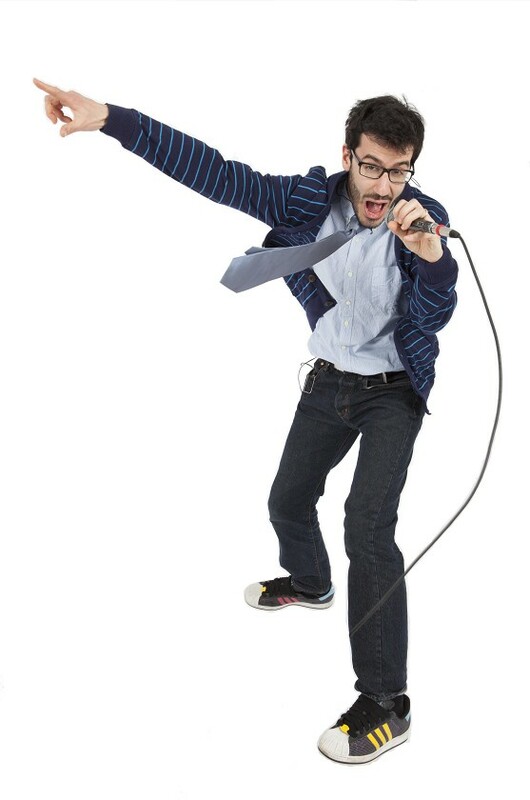 Shlomo is a world record-breaking beatboxer who makes all kinds of music using just his mouth and a mic. Join this sonic superhero and become one of his sidekicks in a world of funny sounds, brilliant noises and cool music, whether you’re aged 1 or 101! "Shlomo had the audience eating out of his hand from the start. A naturally gifted teacher, Shlomo wanted to show the next generation how to beatbox and they loved him for it. Shlomo ended this joyous hour with a demonstration of where these simple techniques can lead and brought the house down in wonder at the impossible sounds coming from this man’s mouth. This is a guy at the very top of his game and he has to be seen - or heard - to be believed! Listening to the buzz from the children outside after the show, they clearly had a wonderful time. They excitedly queued up to meet Shlomo and high-five their hero. Throughout, it was clear that the parents were having just as good a time as their kids – maybe even better." 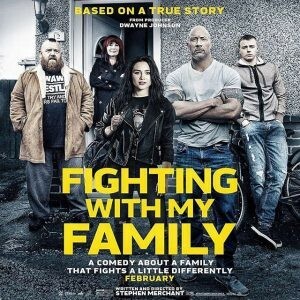 Based on a true story, 'Fighting with my Family' follows reformed gangster Ricky, wife Julia, daughter Paige and son Zak as they make a living wrestling together in tiny venues. When Paige and Zak get the opportunity to try out for WWE, the family grabs a once-in-a-lifetime chance to turn their wildest dreams into a dazzling future. A heartwarming and smart comedy that proves everything is worth fighting for when it comes to family.